Accenture helps companies transform their testing organization to an innovation-led and insight-driven quality engineering function to deliver in the new. We power this transformation by pushing the boundaries on testing automation; being more analytics and AI-driven; evolving the operating model and approaches with agile and DevOps; and pivoting the testing workforce. With more than three decades of experience, Accenture serves over 1,000 testing clients across more than 40 industries. Our Intelligent Testing Services helps companies achieve business value and drive brand assurance while mastering the brilliant basics of speed, quality and productivity. Accenture offers the entire breadth and depth of testing services across a variety of applications, digital technologies and industries delivered under flexible business arrangements. We validate the safety, reliability and transparency of AI systems powered by a unique Teach and Test framework designed to help companies build, monitor and measure reliable AI systems to operate a responsible business. We harness and integrate AI, analytics, Internet of Things, blockchain testing, performance engineering and app security to test and monitor end user experiences across digital channels to help companies realize market potential. We focus on data security & privacy, enterprise application security, API security and secure application development to better protect systems from attacks and data breaches and help you manage a more resilient enterprise. We offer the complete range of testing services for enterprise and custom applications powered with AI, analytics and agile/DevOps to help companies be an insight-driven business. Our proprietary testing platforms and frameworks allow testing teams to easily integrate tools from leading players such as Akamai, Applause, Conformiq, Hewlett Packard Enterprise, Intel Saffron, Perfecto Mobile, Sauce Labs, Tableau, Tricentis and Worksoft among others. These testing platforms and frameworks can be deployed independently or as part of Accenture myWizard®. Enables automated, artificial intelligence and analytics-driven software testing to deliver new enterprise software solutions faster to market and with higher quality. Helps fast-track digital application testing to create a seamless end-user experience whatever the user interface, while improving and realizing market potential. Helps select the right data, models and algorithms that are used to guide artificial intelligence systems towards the best outcome preventing biases and risks. Identifies and helps address digital security threats, compliance gaps and privacy issues in enterprise, commercial and business-critical applications. A communications leader sought to accelerate testing automation, improve time to market and deliver high-quality customer experiences. 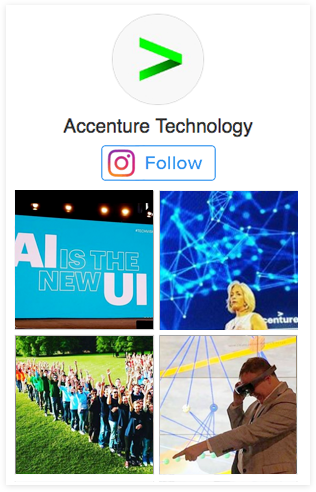 Accenture implemented an end-to-end intelligent automation framework underpinned by an outcome-driven model, to drive intelligence, and automation into the testing lifecycle. As a result, the client is now equipped to handle increased volumes and complexity with greater agility, better testing strategies, lower delivery effort and improved productivity. A major retailer needed to enhance its e-commerce platform to deliver a seamless user experience across devices. It was faced with the challenge of addressing network latency, low rate of social media engagement, conversion and shopping cart creation. Accenture deployed its Omni-Channel Testing Platform to help the retailer boost revenues and enhance conversion rates of its e-commerce portal across web and mobile devices. The Accenture team leveraged digital optimization to enable search engines, social media and application store optimization for enhanced market uplift and brand value. The Accenture Touchless Testing Platform combines AI and more to provide test engineers with new tools for greater efficiency. How the role of Testing and Quality Engineering is expanding to drive business growth. Analytics and AI are breathing new life into automation tech. Three lessons we learned on the potential of intelligent automation. An intelligent automation platform for application services that empowers human technology workers with greater productivity and insights. Powered by a “Teach and Test” methodology, our AI Testing services help companies validate the safety, reliability and transparency of their artificial intelligence systems.